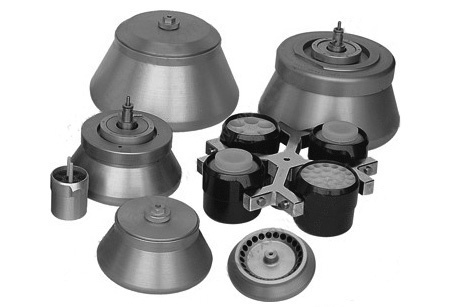 Our tabletop and larger centrifuges are by "cence" the largest Chinese centrifuge maker and one of a handful of leading centrifuge manufacturers worldwide. The company holds these certificates: ISO9001:2008 Certificate of International Quality Management System by UK SGS company, ISO13485:2003&plus;AC:2007 Certificate of Quality Management System for Medical Devices by the German TŰV, and international safety certificate CE. The effective implementation of quality system guarantees continuous high product quality, reliable after‐sale service, and product safety. 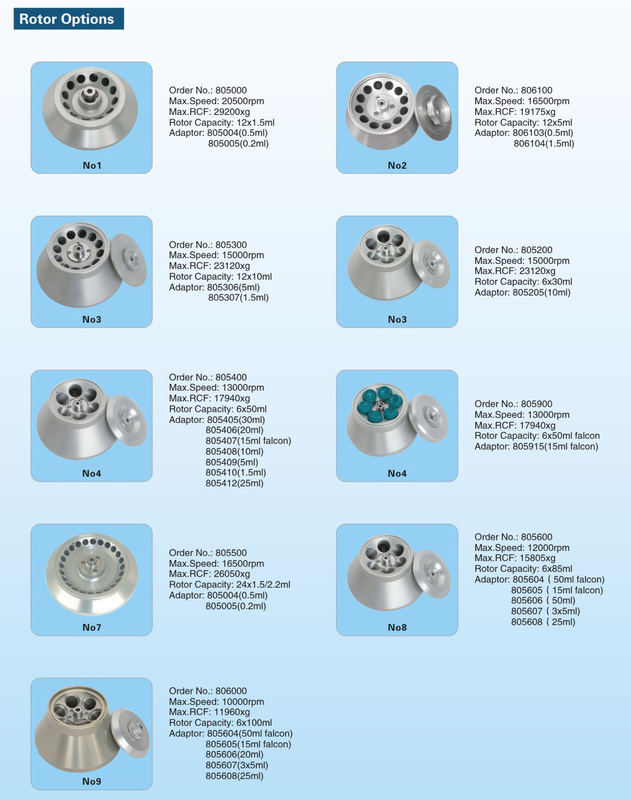 Note: Rotor prices are reduced when ordered with a centrifuge. Super capacity angle rotors with 6 x 1000mL and swing rotors 6 x 2400mL passed rotor service life cycle test by USA authorities in 2009; surpassing the US mandated standard life cycle for rotors. 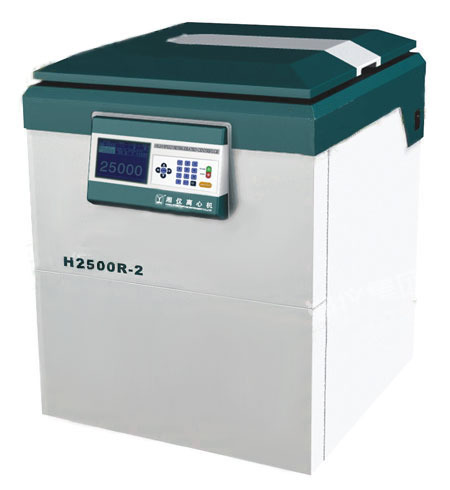 This high speed refrigerated benchtop centrifuge has a maximum speed of 20500r/min, a maximum RCF of 29200 x g and a maximum capacity of 4 x 750mL. FH2050R is controlled by a microprocessor with a touch panel display. It is also equipped with an AC frequency conversion brushless motor, which makes it maintenance and carbon dust free. 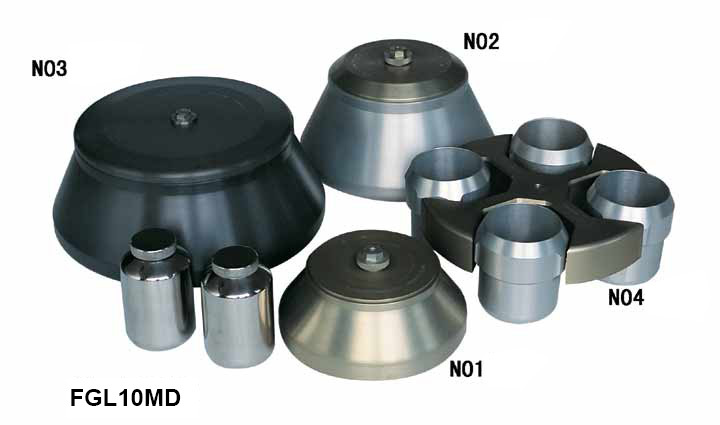 Several rotors and adapters are available for specific uses and different tube configurations. Centrifuge and rotor parameters are stored automatically. The service life of the rotor can be calculated and a warning alert is displayed. It is programmable and can store ten programs in memory. These centrifuges have all required safety features, including imbalance protection, automatic interlock access panels, over-temperature alarm, and excess-speed protection. RCF value can be set for direct centrifuging operation without setting the speed. Fast acceleration and deceleration function. The French-made refrigeration system is Freon-free. This high speed refrigerated centrifuge has a maximum speed of 25000r/min, a maximum RCF of 64800xg, and a maximum capacity of 4 x 1000mL. 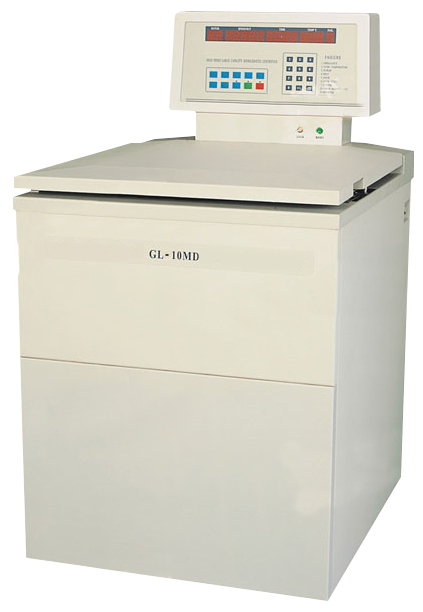 A microprocessor driven frequency converter controls the centrifuge's high torque, direct drive motor. The motor is brushless, making it maintenance and carbon dust free. LCD display ‐ synchronous display of the setup and operating parameters. Directly driven by a brushless frequency conversion motor which has a high start torque and short acceleration time. These centrifuges have all required safety features, including imbalance protection, automatic interlock access panels, over‐temperature alarm, and excess‐speed protection. The French‐made refrigeration system is Freon‐free.